What is an Instagram landing page? An Instagram landing page is the page that your followers will "land on" when they click the link in your bio. Custom Instagram landing pages have become incredibly popular and they're a great way to direct your followers to multiple different locations (a link to your awesome free ebook, your services page, etc). You can use a third-party service to create an Instagram landing page, but your customization options are limited and you can only add a plain list of links. No fun! If you imported the demo content, you can skip this step. In your Wordpress dashboard, create a new page at Pages > Add New. Give the page a title like "Instagram" or whatever else you want. On the left under Template, select the "Instagram" template. 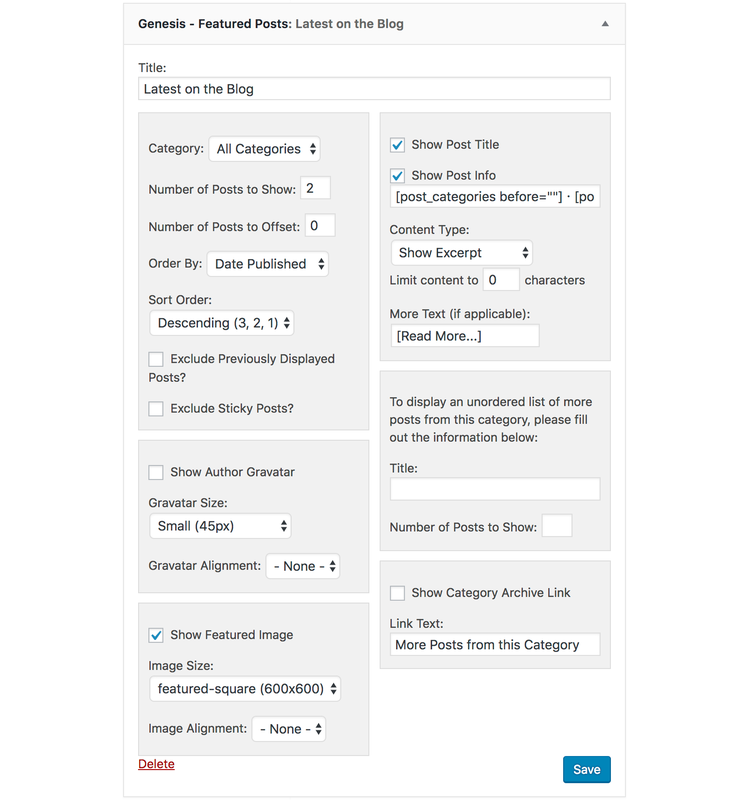 Publish page. The Instagram landing page is widget-based, so you'll add content to the page on your Widgets page. Drag any widgets you want to use into the "Instagram Page" widget area. Go to Appearance > Menus > Create a New Menu. Add the pages and links you want to display in the demo and then publish the menu. Next, go to Appearance > Widgets and drag a Navigation Menu widget into the Instagram Page widget area. Select the menu you created, and then save. From now on, you can easily update your menu links as needed at Appearance > Menus > Your Instagram Menu. See this tutorial for setup instructions. You can change all the color of the Instagram landing page at Appearance > Customize > Colors. Whatever page you added the Instagram Landing Page template to, simply use that link in your Instagram bio. Voilà!